A novelty from Munich 2009. 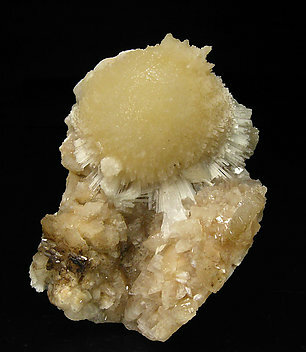 Yellowish globular growths of acicular crystals of Mesolite on a Heulandite-Ca matrix and with (analyzed) Laumontite. A novelty of Munich 2009. 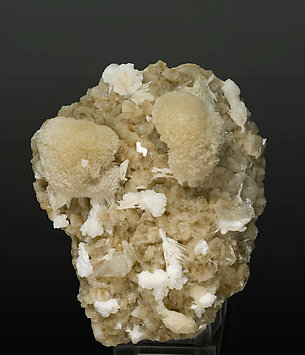 Yellowish globular growths of acicular crystals of Mesolite on a matrix of Heulandite-Ca and with Laumontite (analyzed). 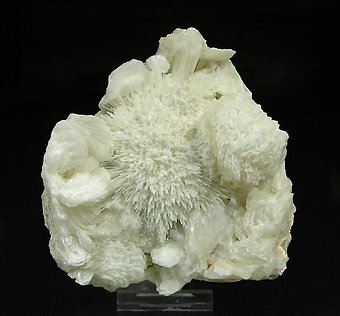 Radial sprays of white acicular crystals on Stilbite matrix. 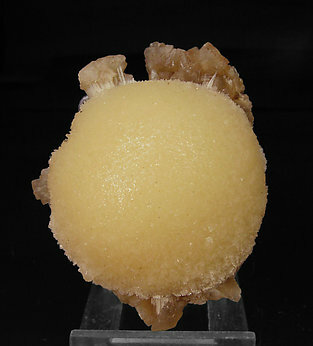 The sample is from a locality not well known until recently. The specimen has been carefully analyzed in order to confirm the species. With the sample we’ll send a copy of the analysis to the buyer. 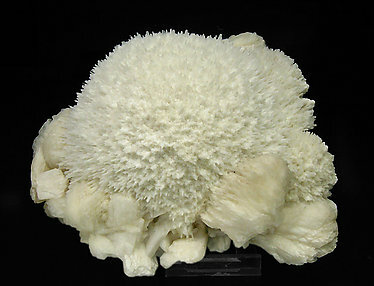 Globular aggregate of white acicular crystals of Mesolite with growths of Stilbite-Ca crystals and on a matrix of basalt.